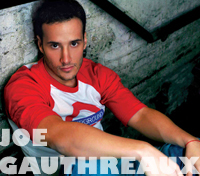 As one of the most sought after DJs in the industry, DJ/Producer Joe Gauthreaux (pronounced “GO TROW”) has a resume full of club appearances and main events that span the last 14 years - with the list growing each passing year. From events during Winter Party Festival to Atlantis Cruises to Black Party New York to San Diego Pride, his name is notorious for an amazing musical experience. The New Orleans native began his career there at age 16 and he quickly became the resident DJ at Oz Nightclub in the famous French Quarter. Joe became quickly in demand at events around the Circuit and at nightclubs around the world as club goers recognized his ability to read the crowds and offer a diverse musical experience, which served to set him apart from the DJs of the day. 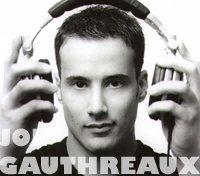 Centaur Entertainment tapped Gauthreaux for his first CD compilation in 2002 with Party Groove: Blue Ball and other CDs followed. He remains a reporting DJ for Billboard Magazine. In 2003, Gauthreaux said goodbye to New Orleans and set his sites on New York City. It wasn’t long before he became a favorite at clubs such as the renowned Roxy, Avalon, Pacha and at the Pavilion in Fire Island Pines. In 2009, he moved yet again and this time to Los Angeles as his international presence grew into new Asian and South American markets, among others. Joe is now recognized and in demand around the world with some bookings coming nearly two years in advance. The competitive DJ market is not a match for this DJ. In 2009, Joe raised the bar for himself as he began producing some of his own remixes, which include “You Are” by Tony Moran featuring Frenchie Davis and “Loca” by Ranny featuring Nina Flowers. Others new remixes are on the way and will feature some of the industry’s hottest artists. Whether you are expecting disco house, progressive rhythms, tribal drums or soulful funk, the legendary DJ/Producer Joe Gauthreaux will have you on the dance floor experiencing a musical journey you won’t ever forget.